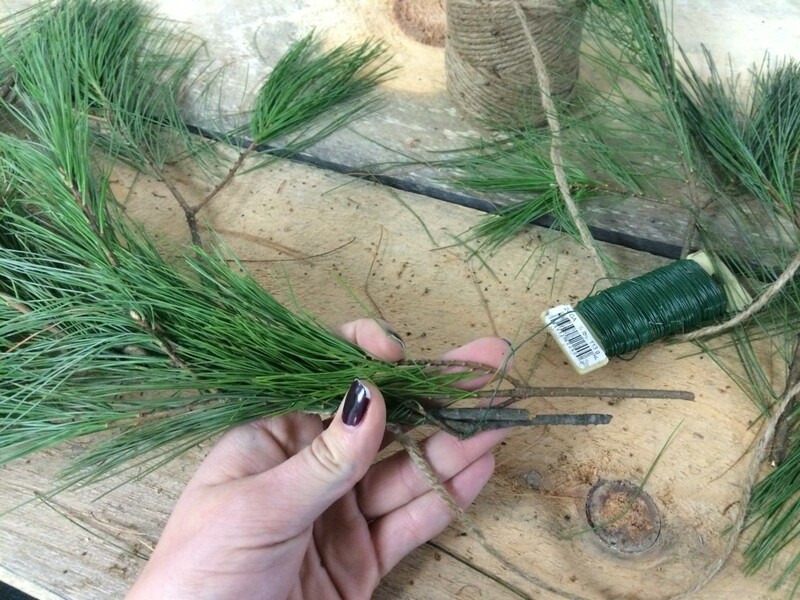 Follow along below to make your own Holiday Pine Garland. 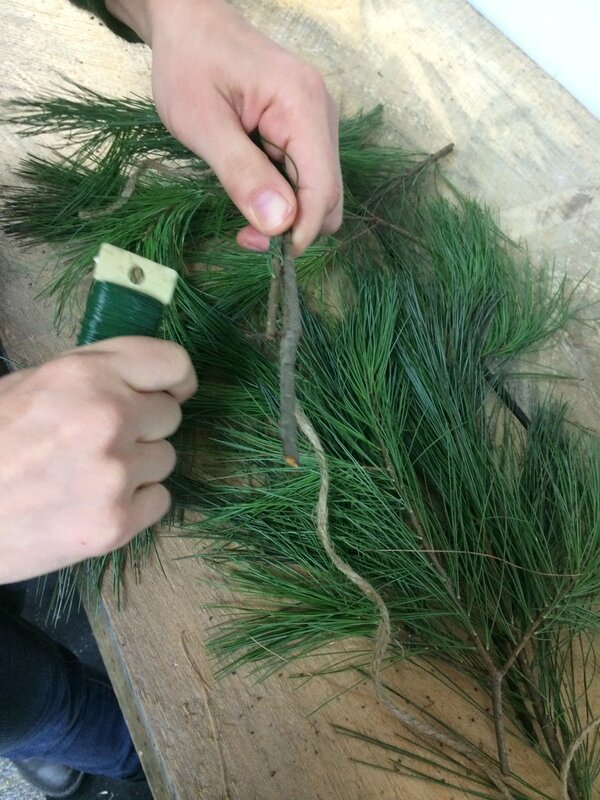 Tools and Materials: You will need pine clippings, garden clippers, floral wire (green), twine or rope cord, and scissors. 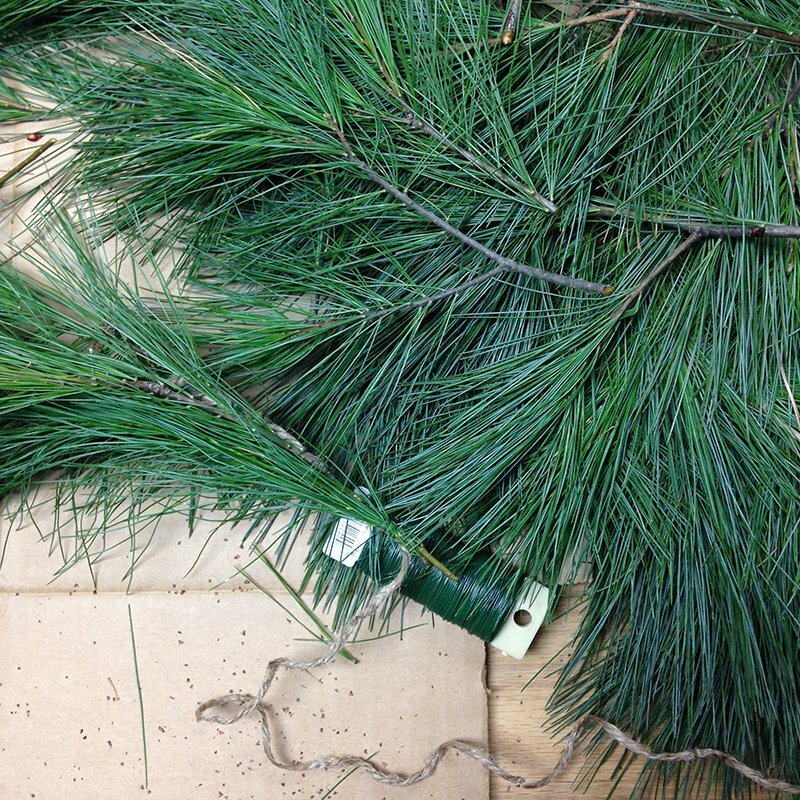 Step One: After you have finished harvesting your pine branches, stack 2 or 3 of your clippings together with their stems facing the same direction. Step Three: Start layering in your clippings! As you are wrapping the floral wire around the stems, add new stems one by one. Set the new stem so that it sits about 1 inch beyond the bunch that has already been bound. Repeat this process until the garland is your desired length. You can add two new clippings at each inch increment to achieve a fuller-looking garland. If you don’t have as much space or prefer a slimmer look, add clippings less frequently so that you are only ever binding 2 stems at a time. These clippings are a natural product so remember that they won’t last forever! However, if you make your garland soon after harvesting the clippings, they will give your entire home a festive evergreen scent! This entry was posted in DIY Projects. Bookmark the permalink.